Hope you are all doing well. 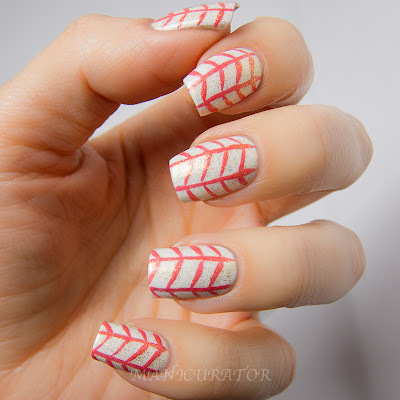 Today I have another Geometric Challenge mani. The theme is "polygon" which makes the possibilities endless. 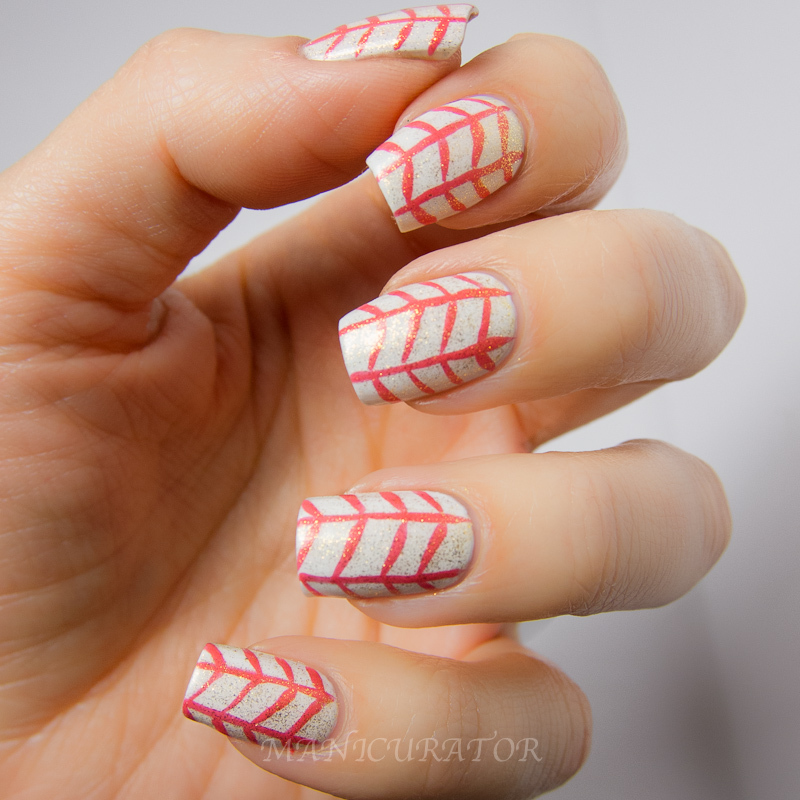 I went with a rectangle shape and tried something brave...this is freehand, with an actual nail art brush. I've always relied on striping tape or nail art pens to get me through this type of nail art. This isn't the best work I've done...it's much harder to create than it seems!! I'm still proud of it. 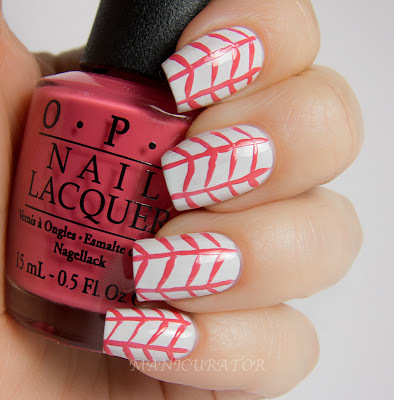 I used two of the shades from the new Euro Centrale Collection from OPI. Here's two coats of OPI My Boyfriend Scales Walls and lines free-handed with OPI Suzi's Hungary Again! 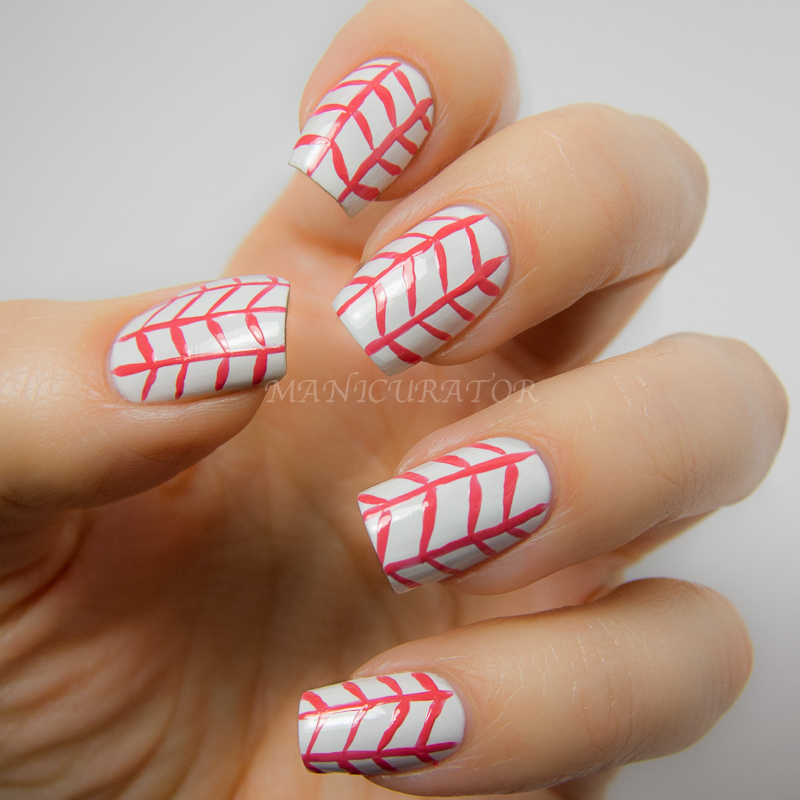 This design looks simple to me..and I definitely need more practice..but I think the final result with the top coat looks cool. Here's the final look with OPI Oy-Another Polish Joke on top. Super pretty gold shimmer top coat. 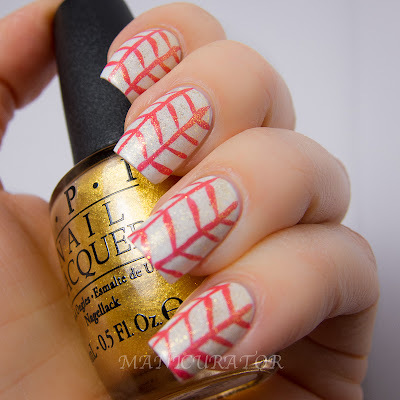 You can also add multiple coats to make this opaque. OK, that's it for now :P See you later tonight with a special post!! *Euro-Centrale products provided for review. 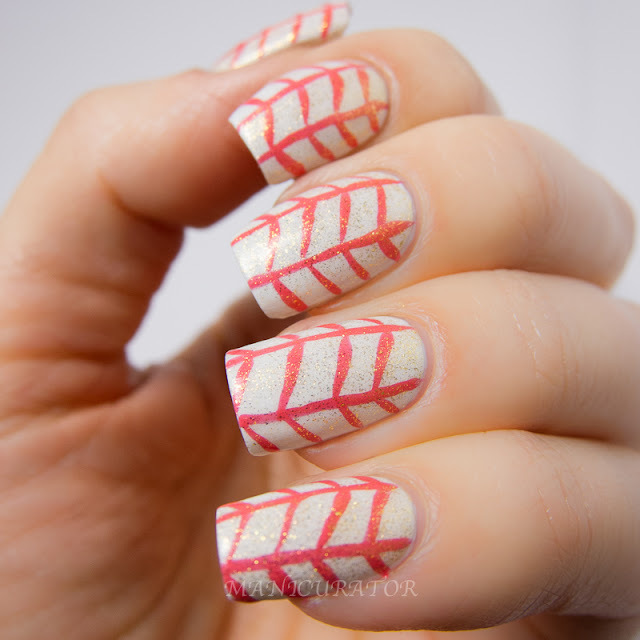 I definitely prefer the design with oy another polish joke on top. It makes it look more fun. 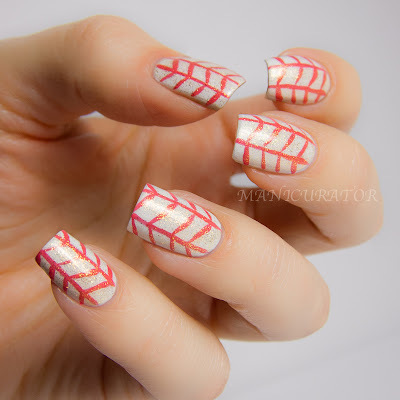 Ohh wow i love this nail art very much i like the shiny nail paint beautiful design .